Put simply, sanding is the process of smoothing or polishing wood surfaces, using abrasive materials (usually sandpaper). After several years of usage, floors become scratched, damaged, stained, and uneven. Subsequently, they’ll need to be sanded in order to restore them to their previous state. 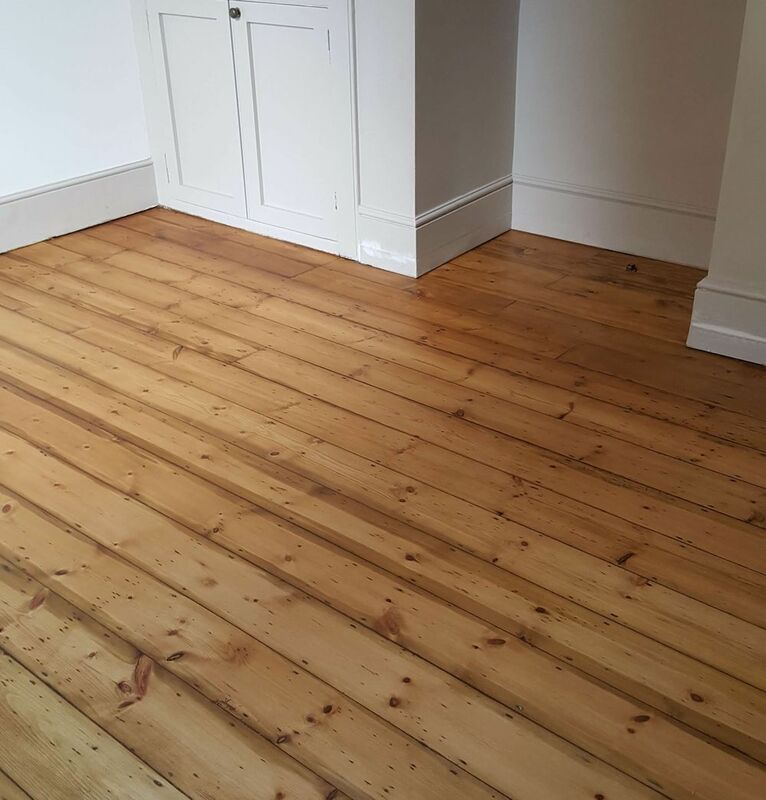 Sanding is carried out to remove the upper layers of wood floors in order to expose the proper wood underneath, which will be free of old and inadequate coatings and as flat as required. It can then be refinished to make the floors better protected and more aesthetically pleasing than they were before. There are three major stages of sanding: the first stage is the preparation of the floor. This is necessary to make the process easier, protect the equipment and remove the possibility of damaging the home. The other two stages are the actual sanding itself and the reapplying of a new finish. Once the preparation process is complete, the following stages can be undertaken with more ease and in a shorter time period. Floor repair and replacement: Sanding is often carried out after repairs are made to the floor. However, it should be given a priority of its own – especially when the sanding is being applied by outside help. All repairs to the floor should be completed before the sanding has begun, as trying to repair and sand simultaneously will create more difficulty. Inspection: The floor itself should be properly inspected before sanding has even begun. The integrity of the floor should be checked; if damaged, it should be repaired or replaced before sanding begins. This will save wasting time by sanding floors that won’t last anyway. Protrusions and damage can also be detected during inspection. Plan your day accordingly: This important, as it will enable the process to go smoothly and lessen the possibilities of interruptions during the day. Professionals will usually complete the work within a day if all goes to plan. However, if you’re doing it yourself, it might be necessary to plan the process over a few days. Checking nails: Nails – or even staples – overly protruding from the surface of a wood floor can harm the sander. If caught in the sanding machine, they can leave dents and scratches in the floor. So, you should check for these beforehand and hammer down any found. Removal of all furniture: It’s important to move all furniture from the areas that require sanding. This includes chairs, benches, tables, stools, and anything else that can obstruct the sanding process. This also helps to keep them clean and safe from the dust that will be created during sanding. Removal of floor covering: To sand, you’ll need direct access to the floor. All carpets, rugs, mats and other floor coverings should be removed completely, as they could cause a nuisance. These are also prone to retaining a lot of dust and should be removed to make cleaning easier. Removal of window covers: Blinds, curtains and any window dressings are not immune to the dust produced during sanding. Some are even obstructions to sanding as well. For these reasons, they should all be removed and placed in a separate room beforehand. Power availability: Most of the equipment that will be used for sanding will require electricity. To ensure everything goes smoothly, any issues that might interrupt or limit power should be addressed before the sanding process begins. Sealing rooms against dust: The sanding process works by filing down bits of wood; this will doubtlessly create some dirt in the form of wood and dust particles. These are capable of spreading all around the house, so it’s important to close doors and windows leading to other parts of the house. This will significantly reduce the areas that require cleaning once the sanding process is complete. Sealing Outlets: The dust created during the sanding process is very likely to get in all nooks and crannies to begin with; one of these being electric outlets. Dust is very likely to breach such crevices, which actually damages the sockets, not to mention being difficult to clean. Sockets low down and those not in use should be covered to avoid this. Sealing the room that requires sanding: Once sanding is complete, it’s normal practice to apply a finish to the wood. Applying a coat of finish improves the look and gives it extra protection against scratches and dirt. However, the process of applying this finish is itself often impeded by dust. So, as well as sealing the other rooms against dust, you should also seal the room you’re working on from any outside dust. Ventilation: With the amount of entrances that will require sealing, there is a tendency for the room in question to become too hot or stuffy. To create a conducive environment for yourself or the workers, it’s a good idea to create adequate ventilation. A well-functioning air conditioner will suffice in most cases. Lighting: It’s important that there’s good visibility for sanding. This is especially necessary if the job happens to be taking place at night or in darker areas of the house, such as the basement or attic. Safety masks and glasses: If you’ll be performing the sanding personally or plan to be present during the process, it’s highly advisable to acquire and wear a safety mask with glasses. This will keep dust particles from going into your mouth, nose, or eyes. These can be taken as checklists to ensure the actual sanding process goes well. For those DIY enthusiasts trying it out for the first time, these steps should make sanding efficient and speedy, with fewer errors as possible. If the sanding is being undertaken by professionals, they will certainly appreciate your preparedness and it will make their job even easier. Once sanding commences, it’s best to stay focused on the task. With everything previously complete, sanding and finishing should subsequently be complete in no time.